High on style! Dabangg girl unveils the new Swatch collection in Mumbai. 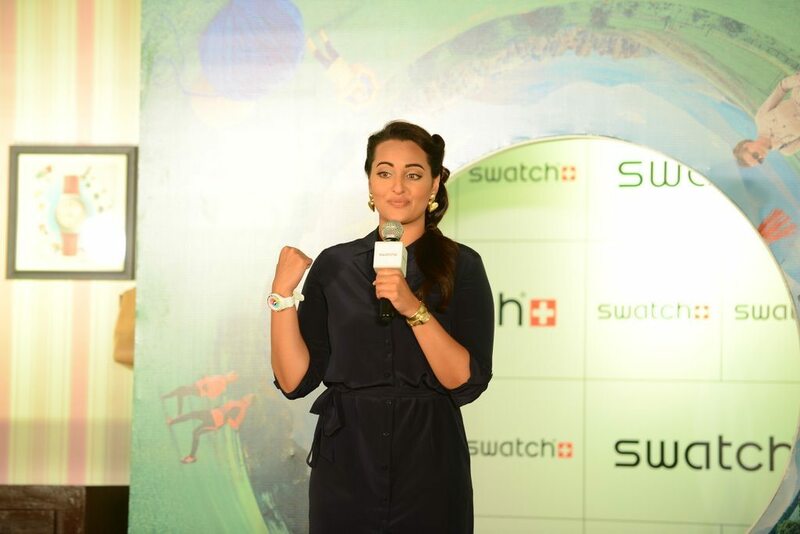 Bollywood actress Sonakshi Sinha attended watchmaker Swatch’s new collection launch held in Mumbai on August 26, 2014. The ‘Dabangg’ heroine looked ultra chic in a fitting navy blue dress matched with stunning pair of golden bling shoes. However, we’re not too sure about the golden knee-brace-like accessory! The vivacious girl sported trendy Swatch watches on both her wrists and didn’t shy away from striking a pose for the shutterbugs. The media also asked Sonakshi to share her most memorable life experience, to which she replied that the day her first movie was released, was the most memorable and special day for her. 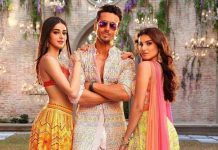 At present, the actress is preparing for her upcoming movie ‘Tevar’ opposite Bollywood hunk Arjun Kapoor, this will be the first time that the two stars will share screen space.